Hello friends! It’s Marta here today. I have my Mister Tom’s Treasures collection and I’m so happy about it! It’s time for some vintage works for men and about men. Today I prepared for you a small black canvas. I used an original photo of a boy and his mother from year 1938. 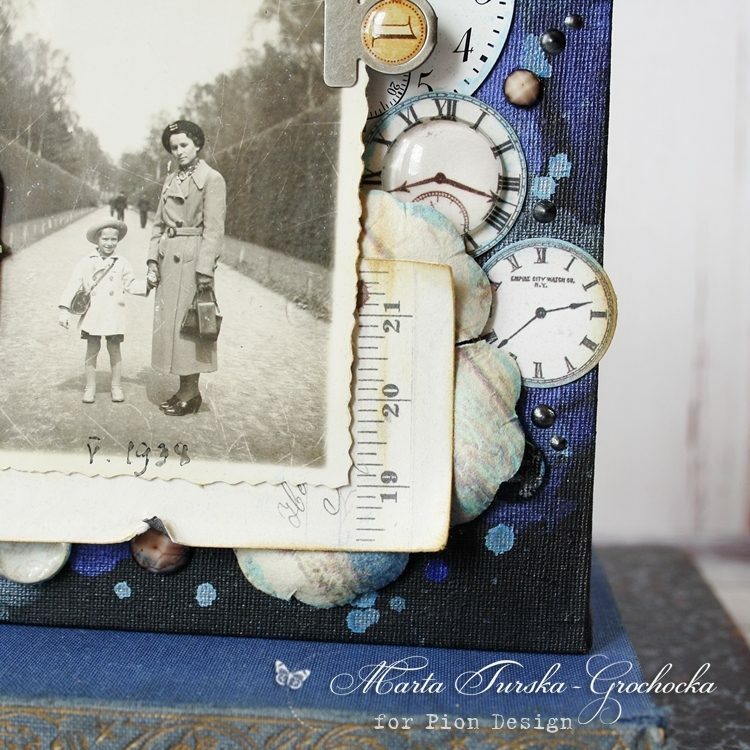 I love old pictures and I love to compose them with some beautiful paper elements. There are some beautiful watches cut out from Mister Tom’s Treasures – Pocket watches sheet. 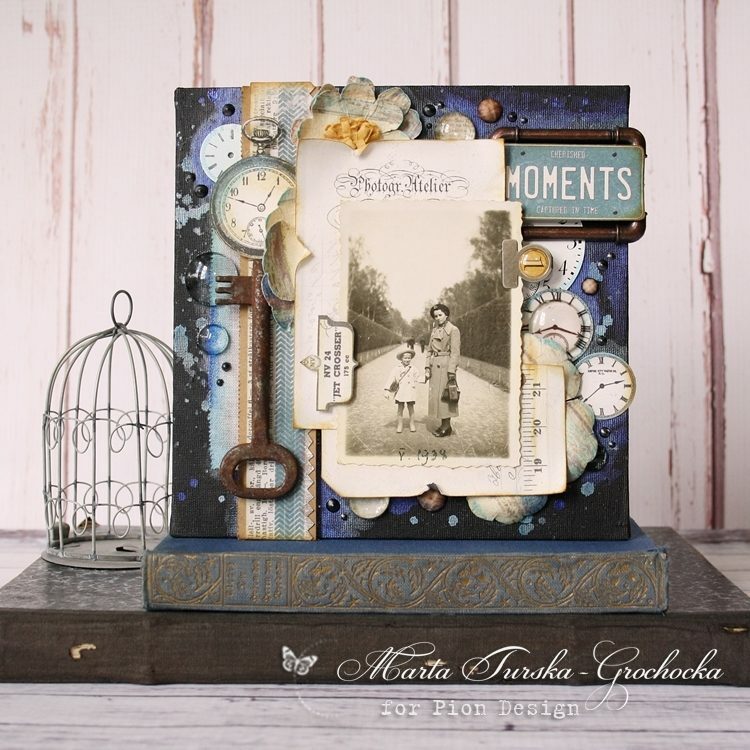 I used cool paper element cut out from Mister Tom’s Treasures – Memory notes sheet, that looks like a license plate! 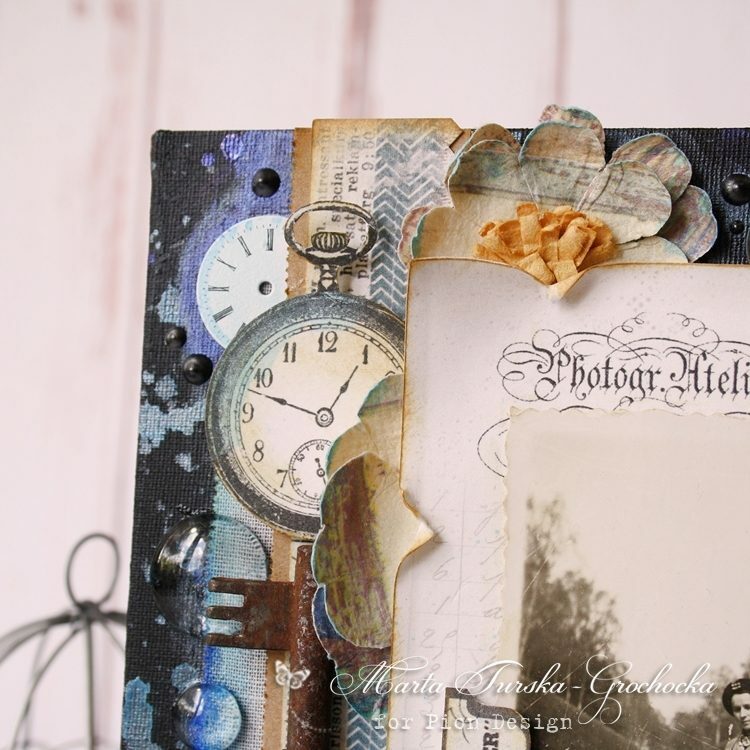 I’ve mixed it with vintage frame made of metal pipes. I’m in love with this beautiful collection, it’s perfect!